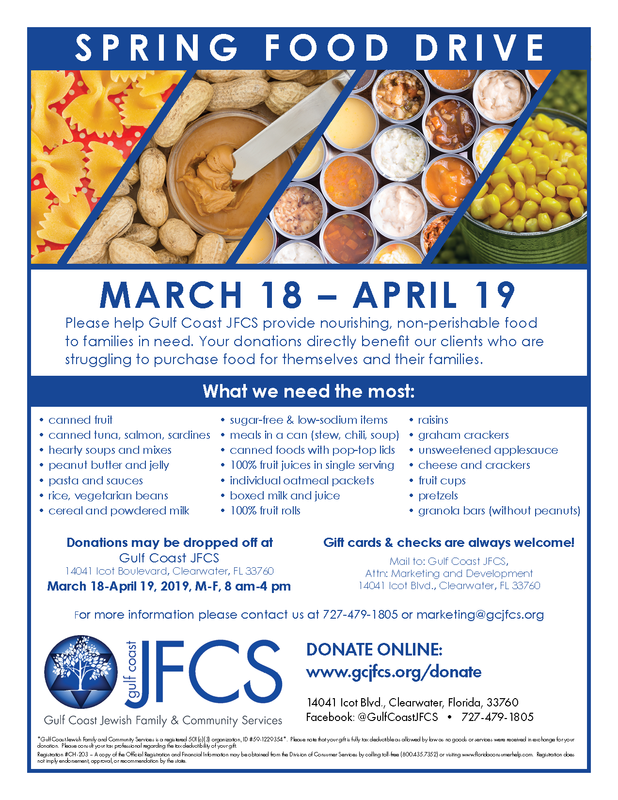 Please help Gulf Coast JFCS provide nourishing, non-perishable food to families in need. Your donations directly benefit our clients who are struggling to purchase food for themselves and their families. Your donations may be dropped off at the Gulf Coast JFCS office: 14041 Icot Boulevard, Clearwater, FL 33760. For more information, please contact us at 727-479-1805 or marketing@gcjfcs.org.